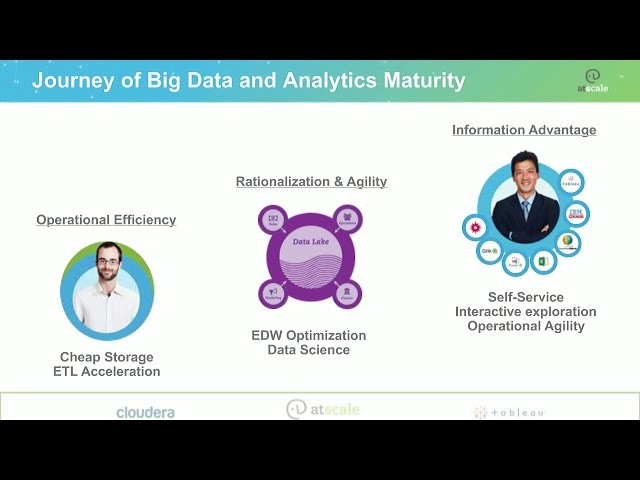 Big Data Maturity Trends: How Do You Measure Up? Are you doing the right things with Big Data? How do your peers, and competitors, use it? Are you ahead of or behind the curve? Is on-premises or Cloud the best direction? Which workloads drive the fastest impact and biggest ROI? Join this webinar to learn details of the largest Big Data Maturity Survey, including why and what 2500+ Big Data and BI Enterprise Leaders choose for Big Data priorities in 2017. You’ll also hear from Brandon Bunker, Director of Customer Analytics and Intelligence at Vivint, IoT and Smart Home leader. With 1M+ customers generating 20K+ events per second. As pioneers in their space, Vivint had to get ahead of big data versus letting it get ahead of them. Brandon will share challenges, choices and lessons learned along his journey to deliver the ultimate customer experience and compete in today’s hyper-speed world.